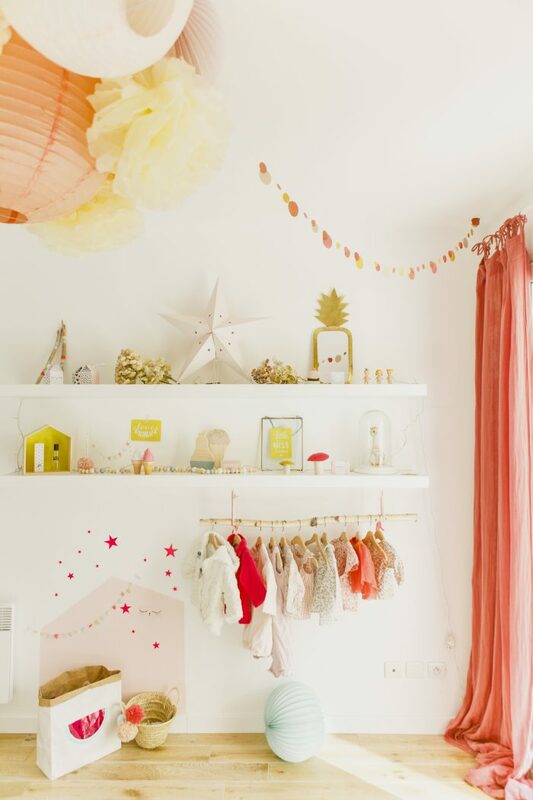 April’s nursery is cute ! 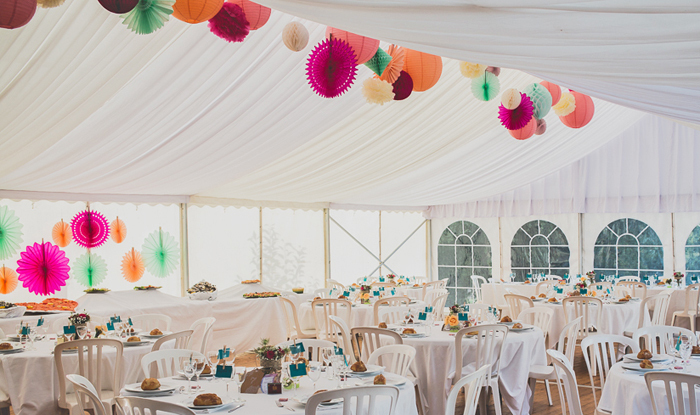 Here comes the white wedding marquee with a colorful sky! 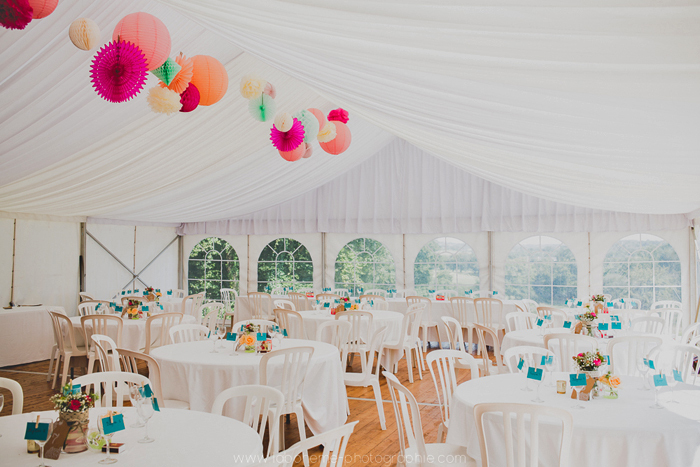 Like Apolline for her own wedding marquee, you can tighten some fine twine along the central edge of your marquee and hang a mix and match of forms and colors. 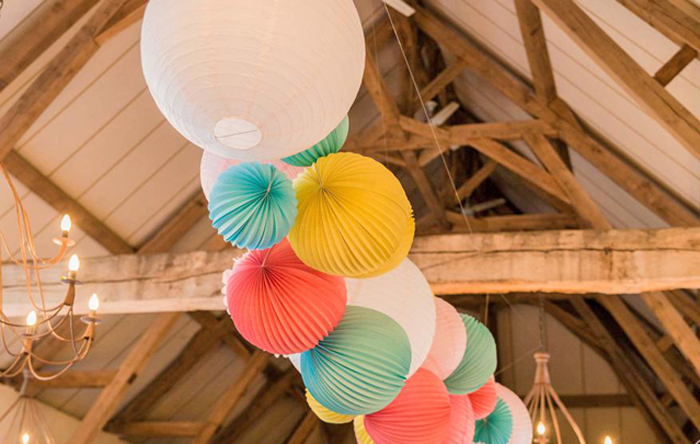 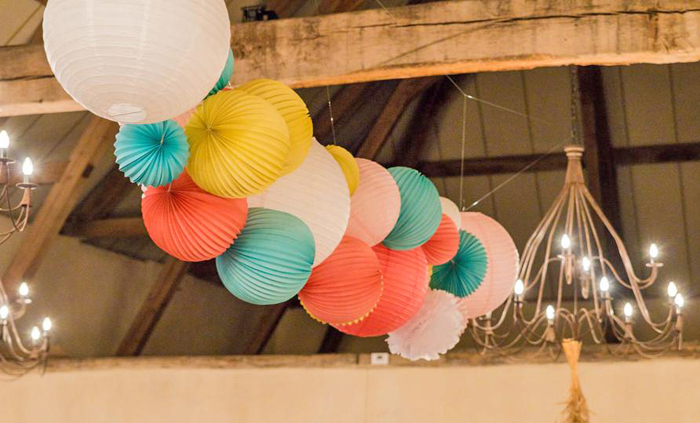 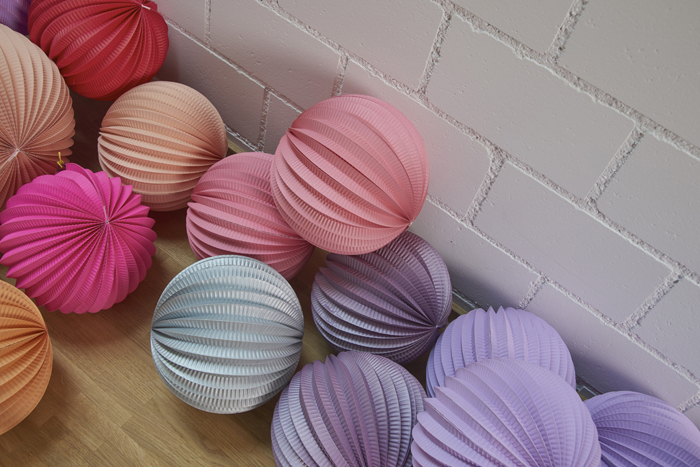 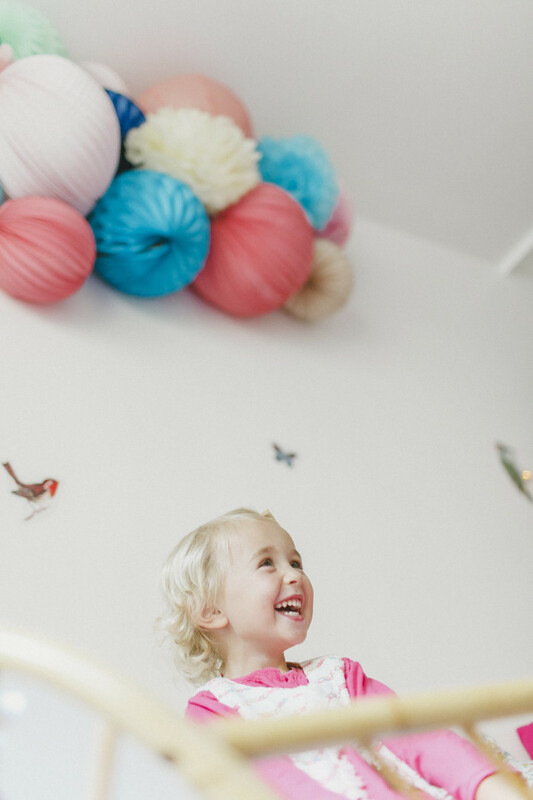 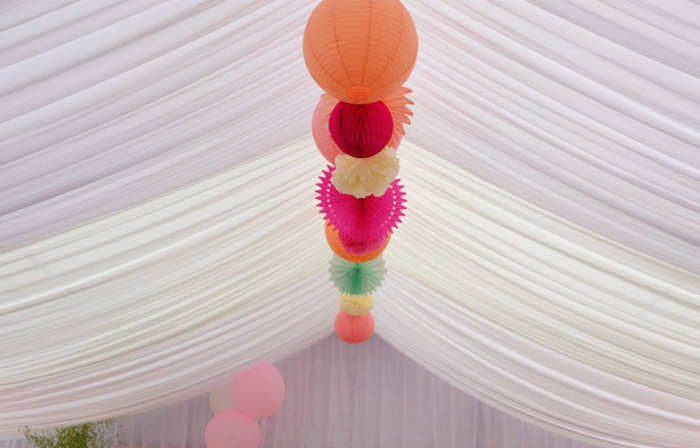 All our paper lanterns have a small hook or a small string (for accordion lanterns, honeycomb balls, paper fans …) so that you can attach them easily. 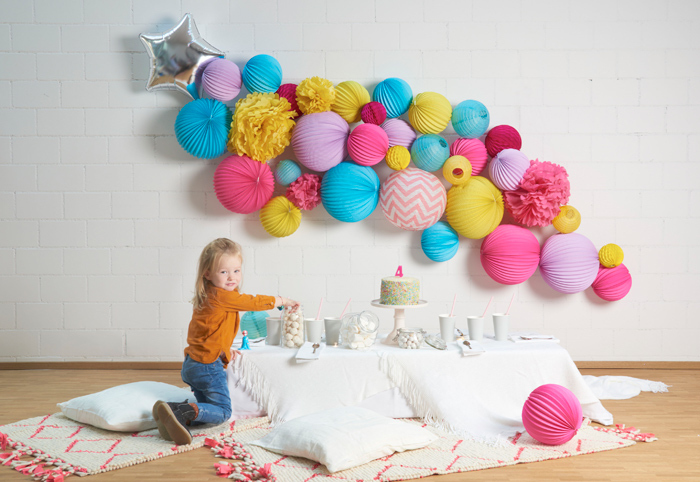 WOW effect guaranteed! 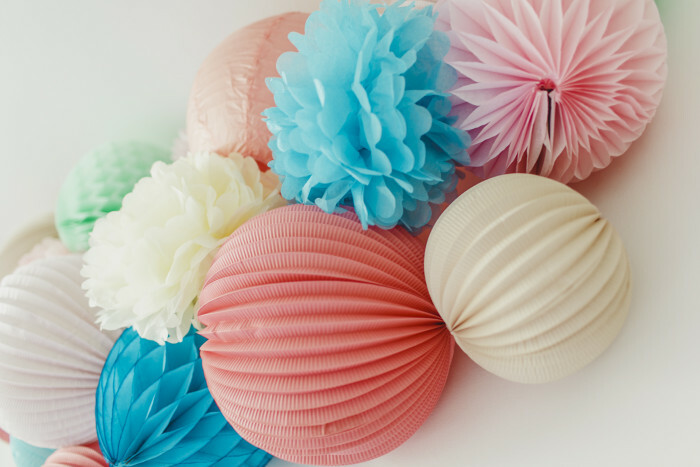 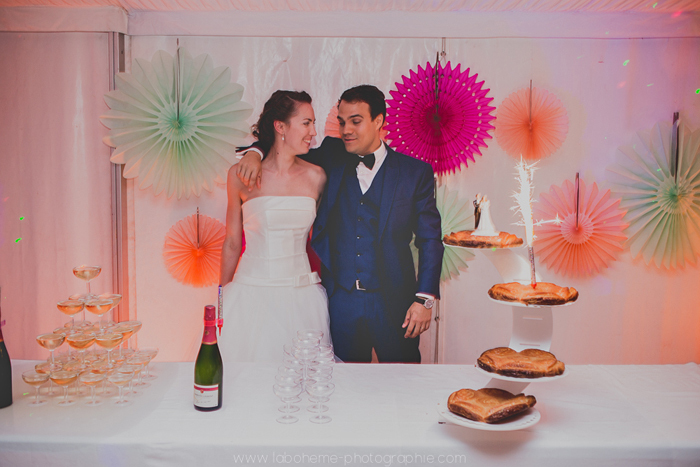 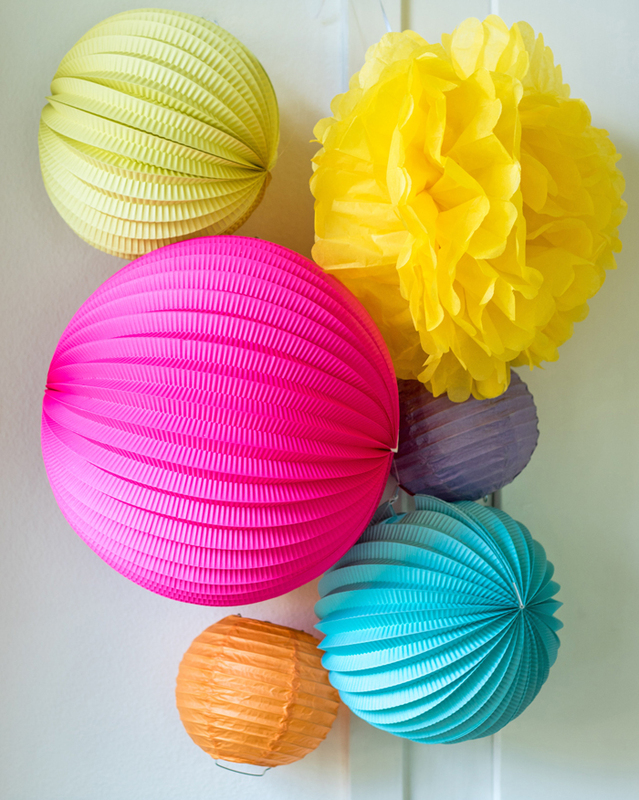 Another great idea: use our paper fans for a colorful backdrop to the bride and groom’s table. 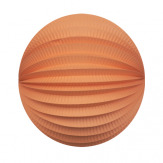 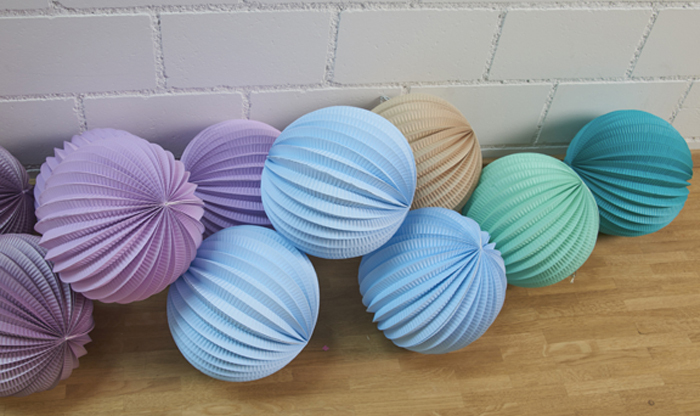 Shop our wedding paper lanterns in our store ! ! 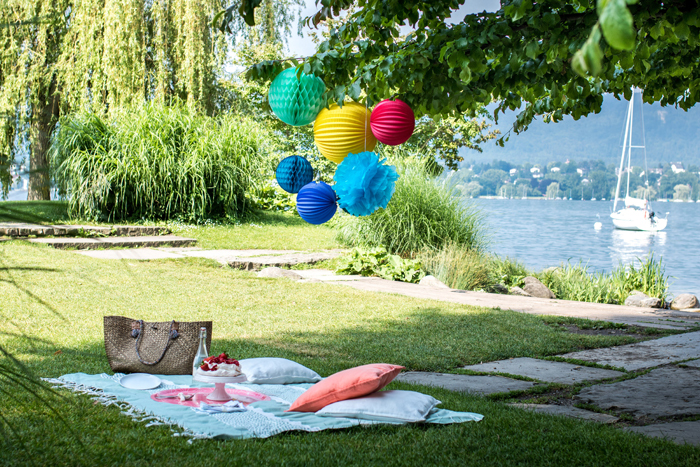 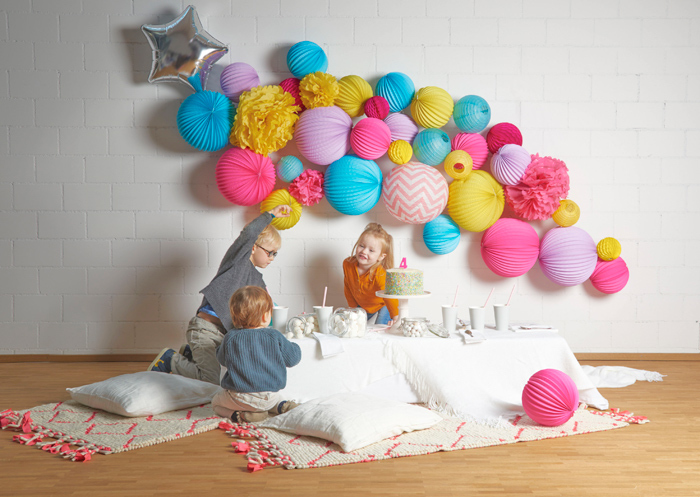 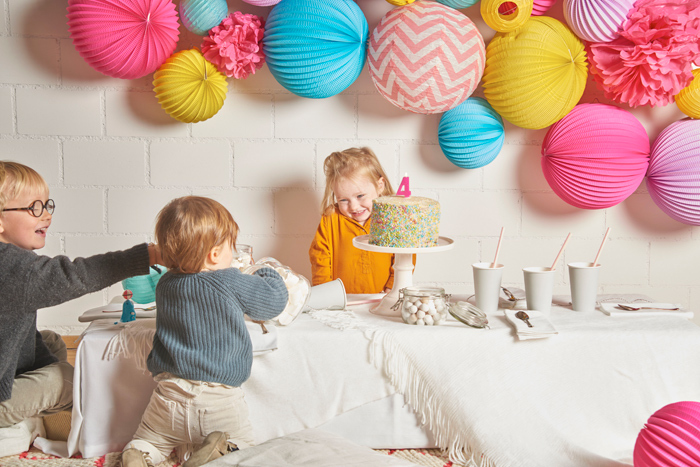 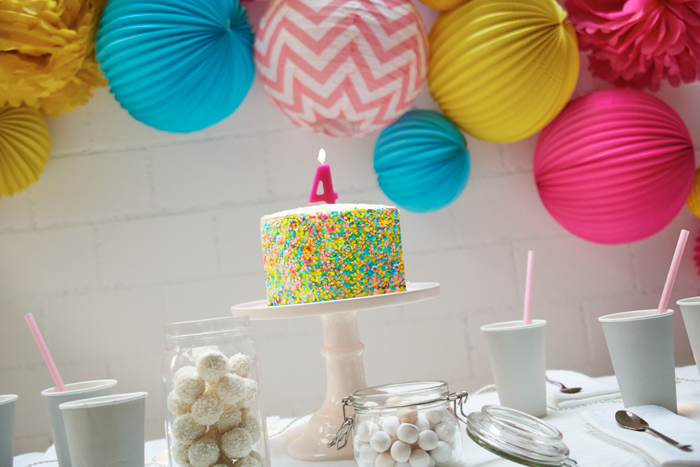 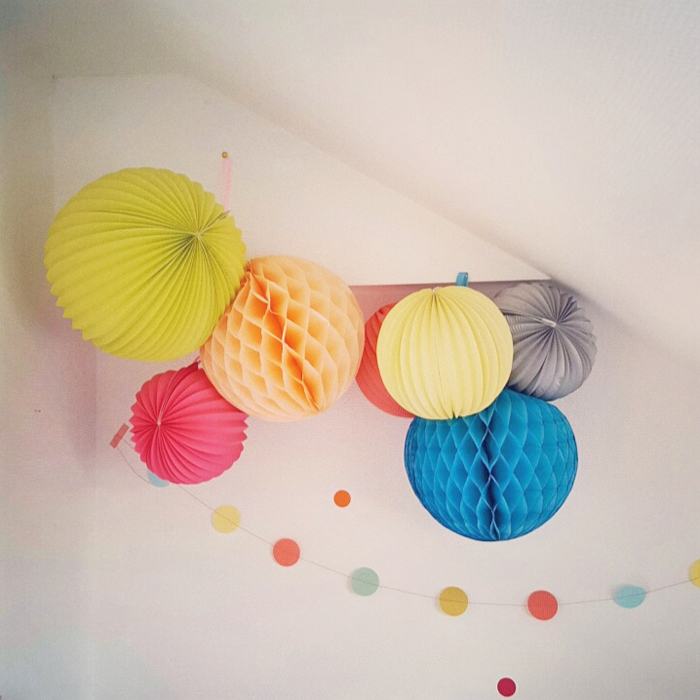 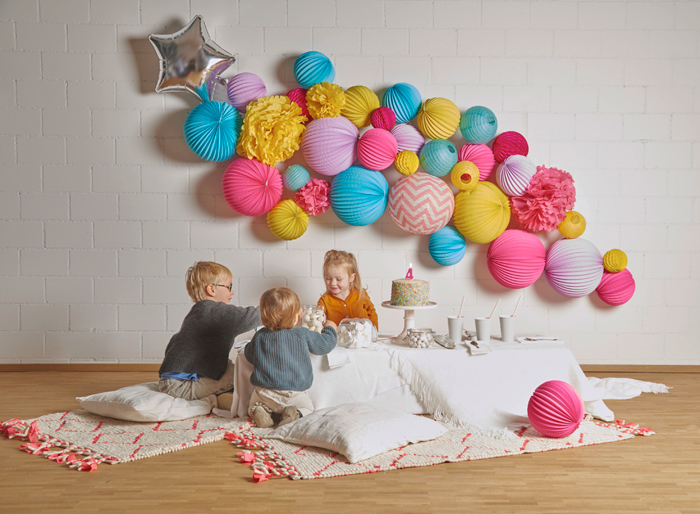 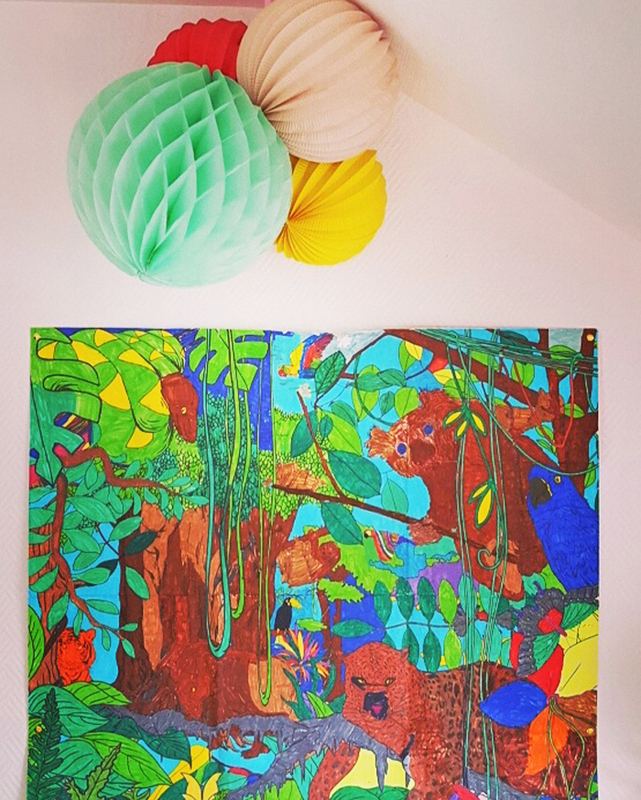 Bright colors and happy shapes: the Happy Times paper lanterns kit is now available in our boutique in limited edition. 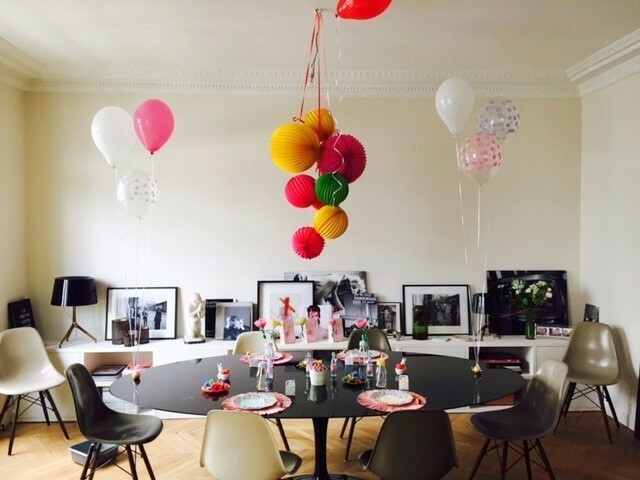 So let the party begin! 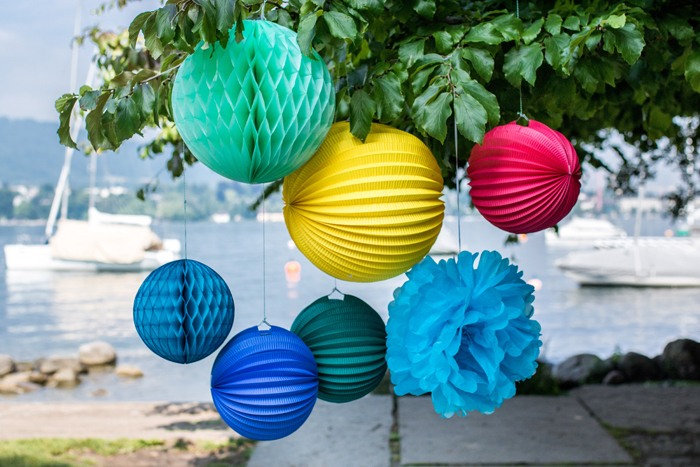 This new paper lanterns combo will be perfect to decorate your garden, your picnic, your balcony. 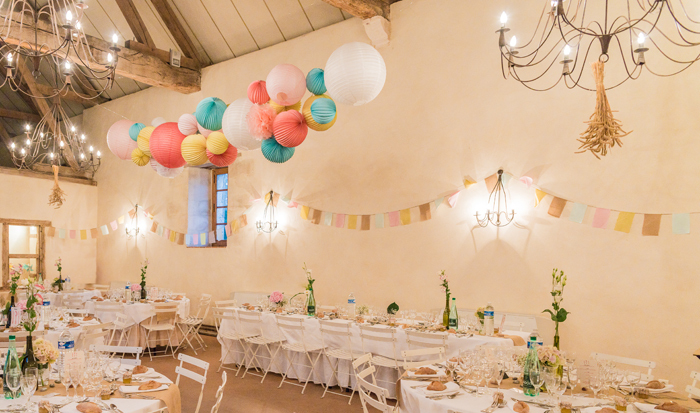 You just need to hang the different lanterns with the included twine and voila! 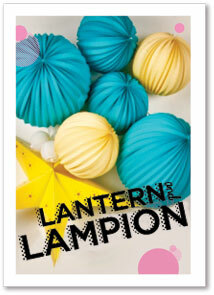 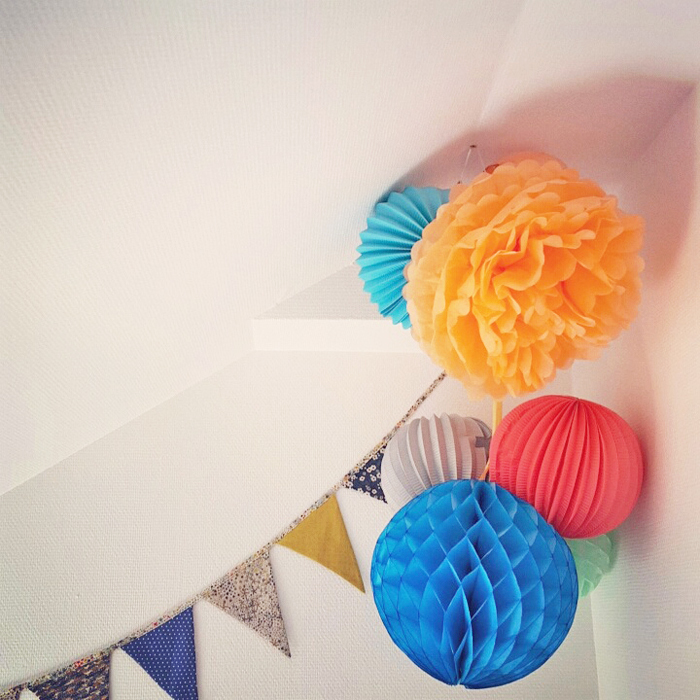 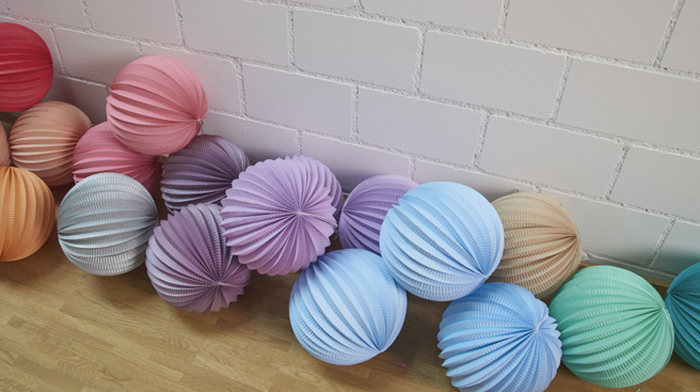 You can find all our paper lanterns kits in our boutique! Store window decoration idea on budget! 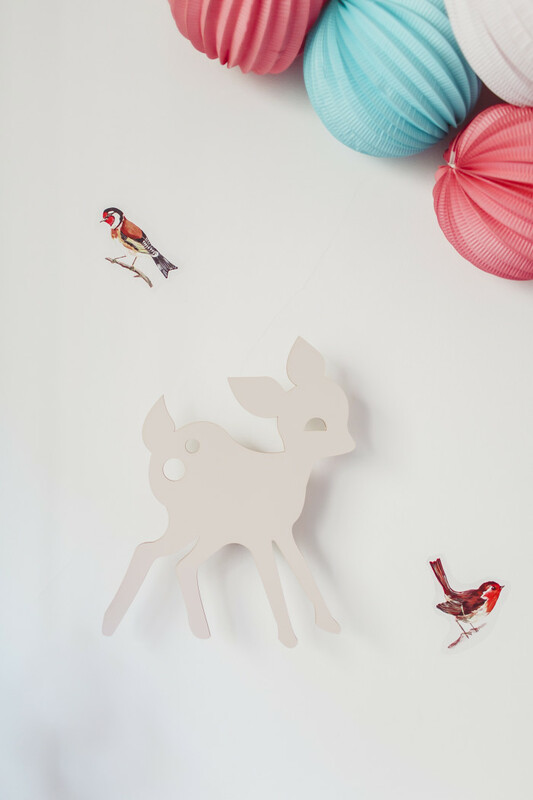 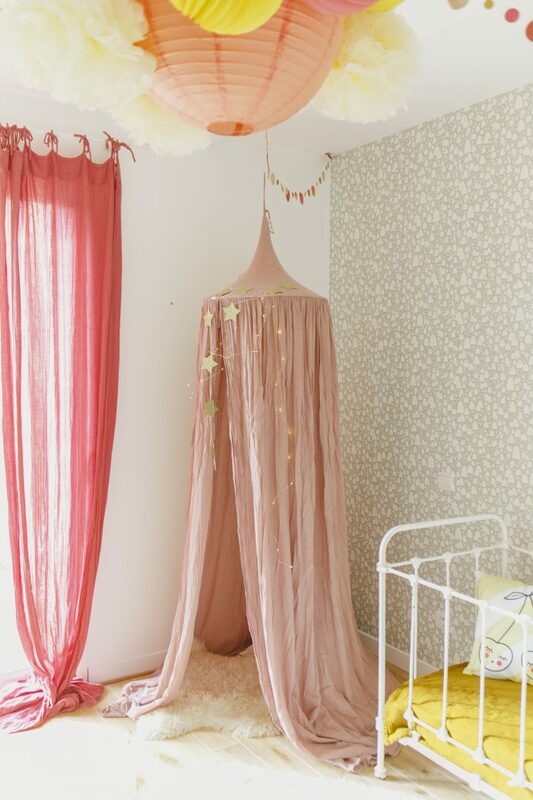 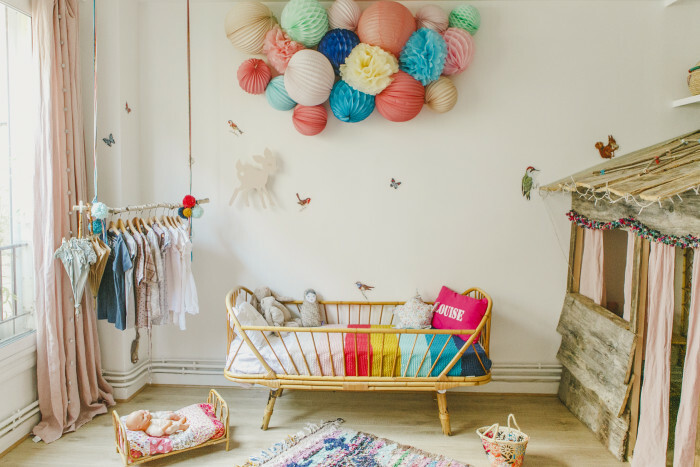 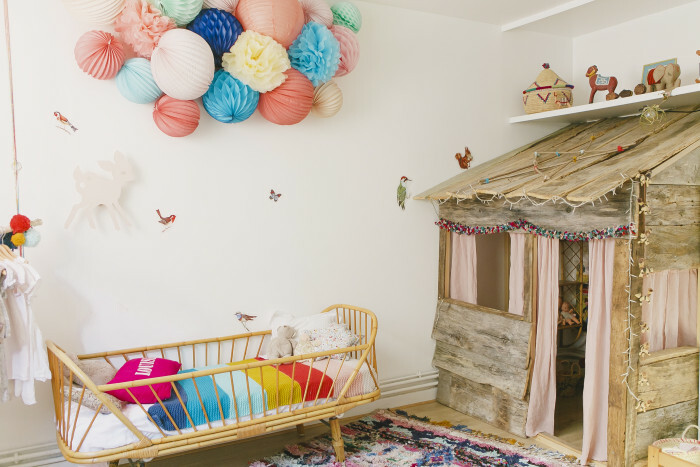 What a lovely decor for a baby girl’s nursery! 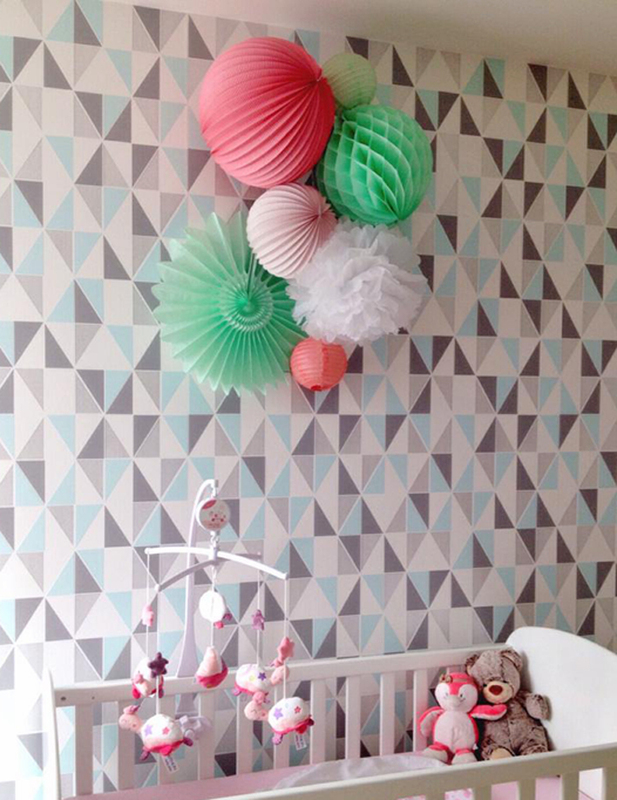 Thanks to her mum who knew how to associate a graphic wallpaper and a colorful cluster of lanterns. 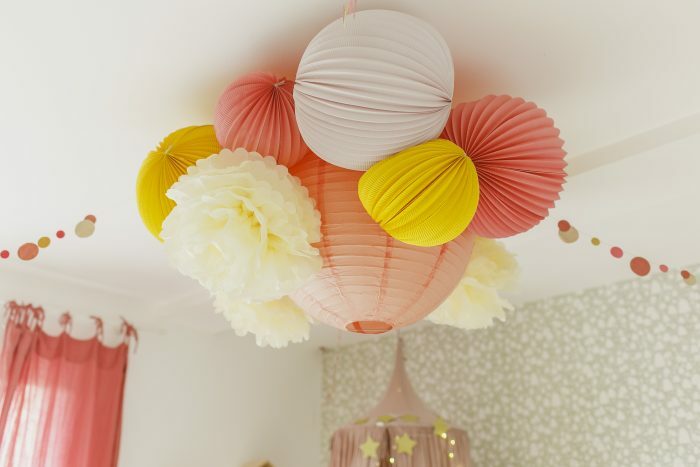 The result is brilliant!